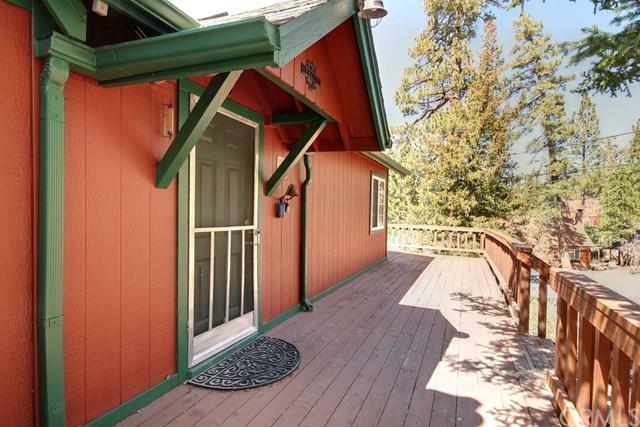 Central Bear Lake location for this clean and updated mountain home. Formerly owned by Andy Devine of early Westerns & TV fame. Main home is 1 bedroom and 1 bath, which was remodeled in 2003. Newer kitchen with solid surface counters, hickory cabinets and bar seating. Open living area with native stone fireplace and wood stove, T&G wood ceilings, recessed lighting and built-in desk with nice views of the back yard. 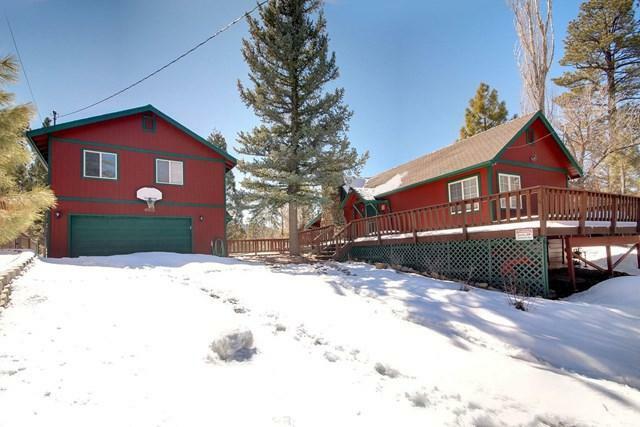 Large bedroom with mirrored closet doors, ceilings fan, and views over the front yard & tre Central Bear Lake location for this clean and updated mountain home. Formerly owned by Andy Devine of early Westerns & TV fame. Main home is 1 bedroom and 1 bath, which was remodeled in 2003. 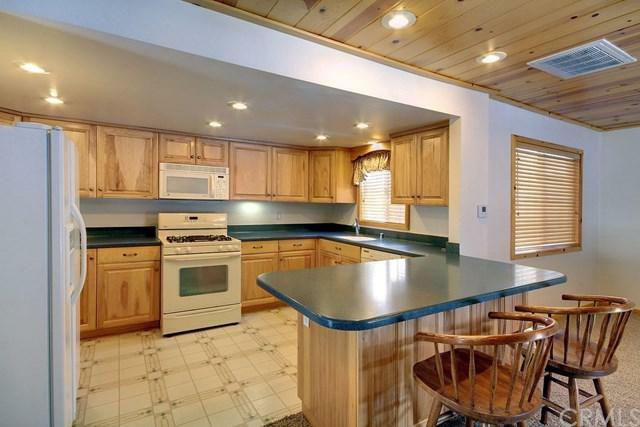 Newer kitchen with solid surface counters, hickory cabinets and bar seating. Open living area with native stone fireplace and wood stove, T&G wood ceilings, recessed lighting and built-in desk with nice views of the back yard. Large bedroom with mirrored closet doors, ceilings fan, and views over the front yard & trees. Wrap-around decking plus large patio area with covered entry to rear mudroom. Detached 2 car garage with built-in storage and laundry area. Additional 2 bedrooms, 1 bathroom, living area and bonus area are above the garage. 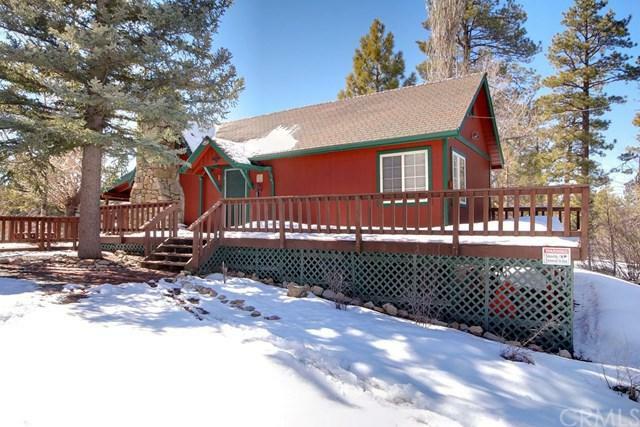 Great location, just minutes from the lake and Village area, plus right around the corner from the National Forest trails.